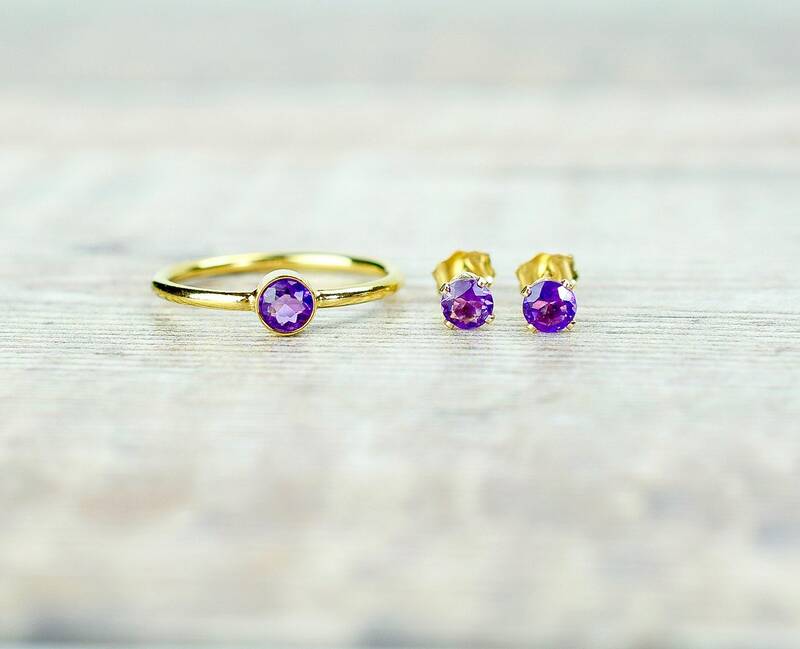 A beautiful African Amethyst gemstone ring & stud earrings jewelry set. 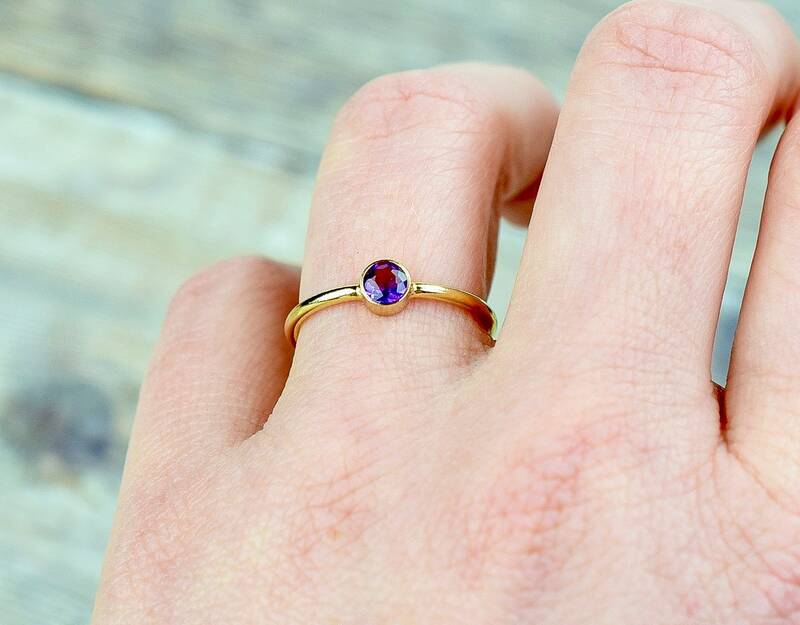 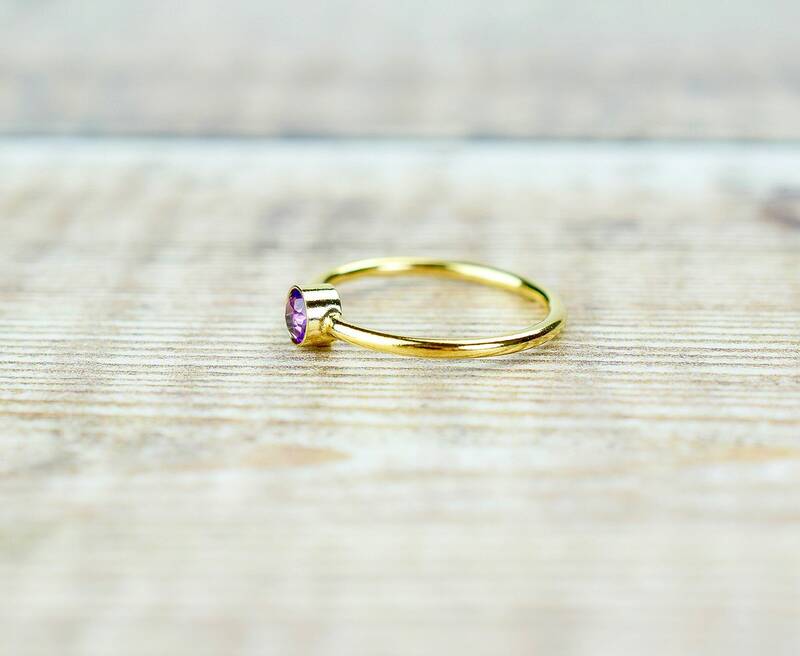 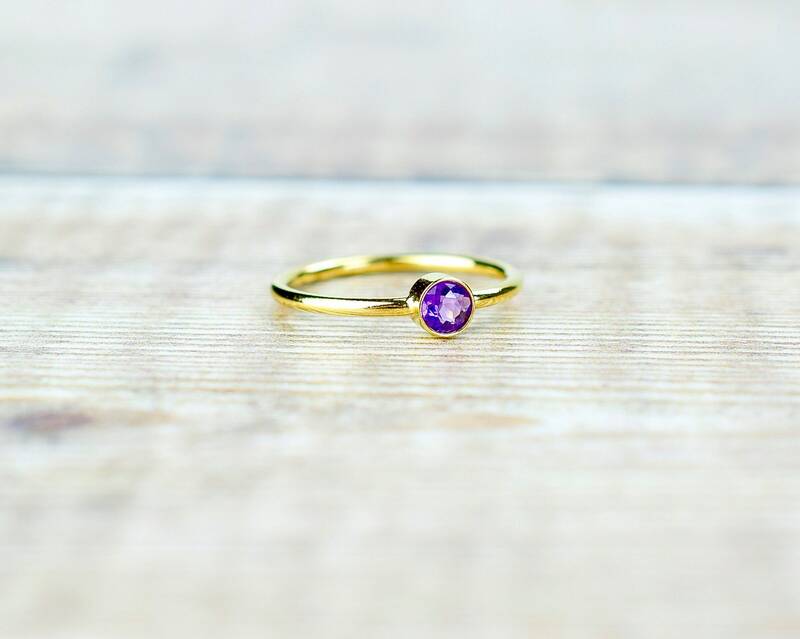 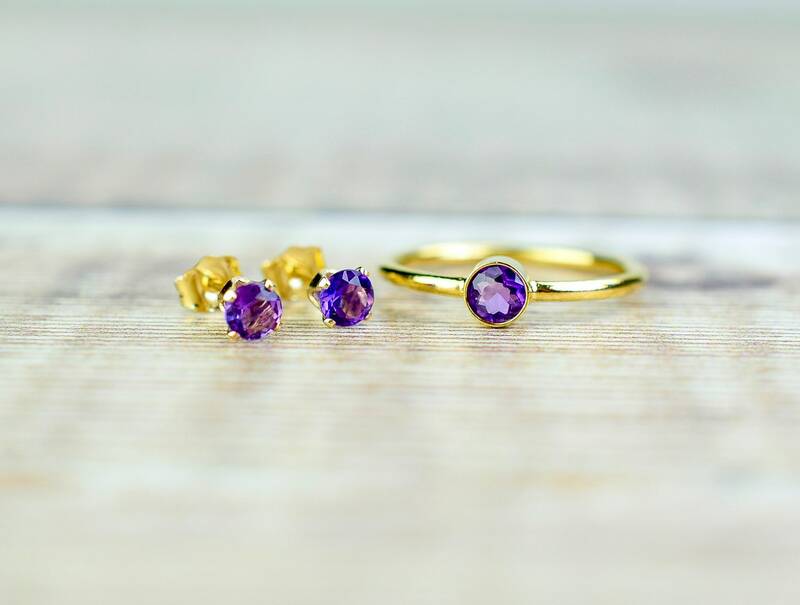 The Amethysts are a gorgeous shade of rich purple, with an excellent lustre, and they compliment their gold settings beautifully. 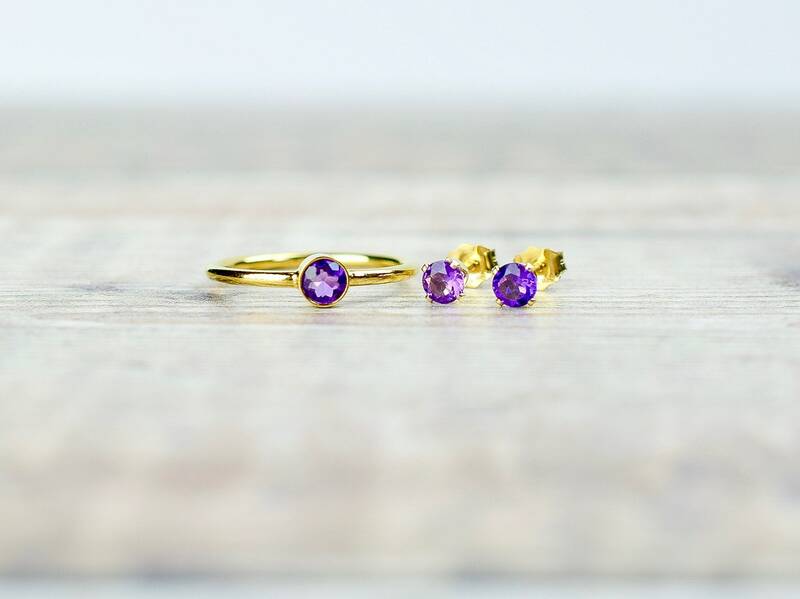 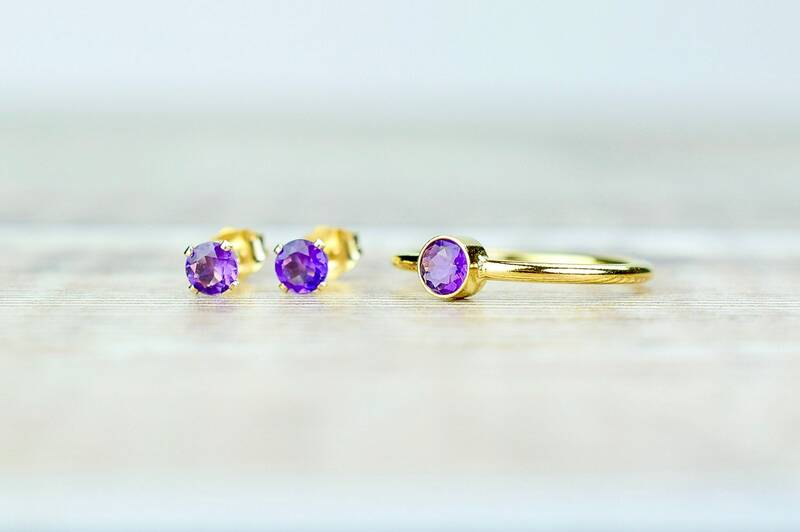 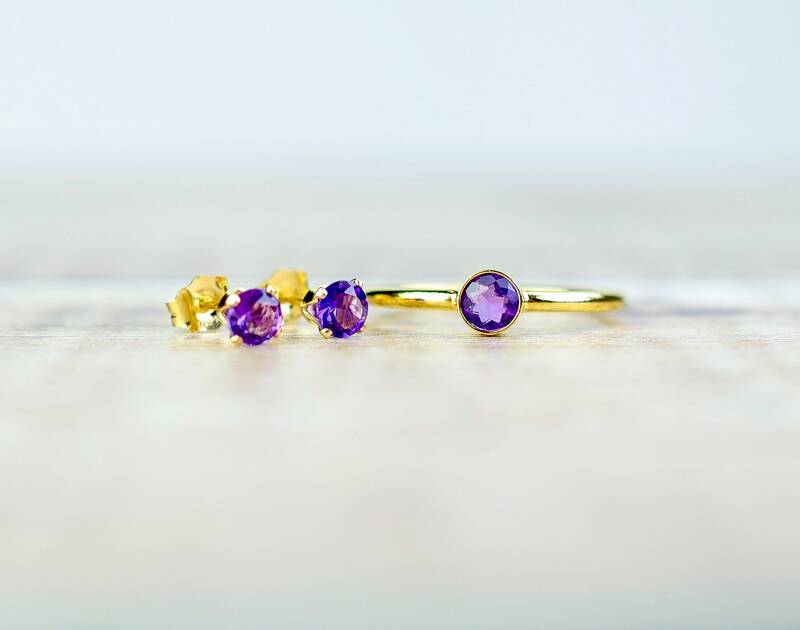 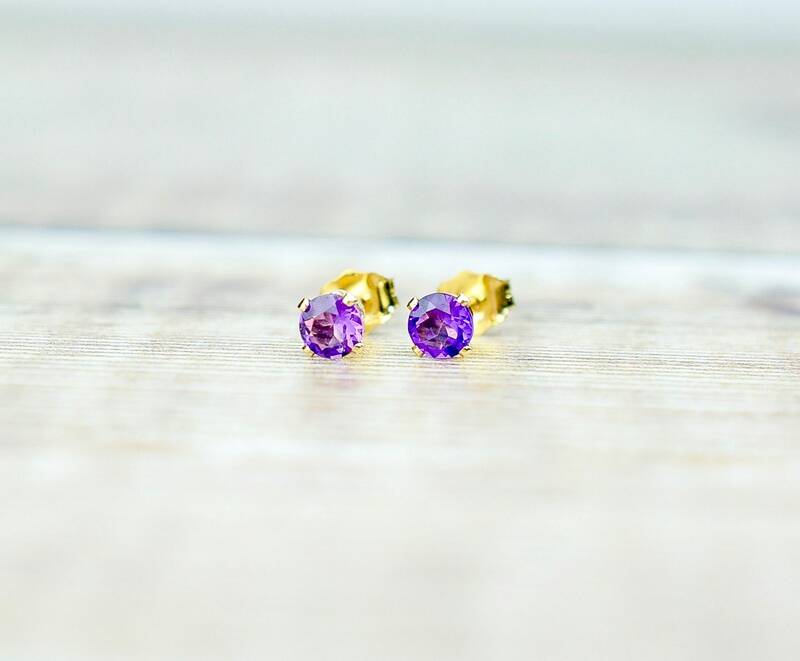 The stud earrings and solitaire ring are made from 14k gold fill and the Amethyst gemstones measure 4mm.